This bathtub adds a spa-like feel to any bathroom. The clean lines and light travertine will brighten up any space. The sharply angled ends of the tub make this exquisite design very unique. 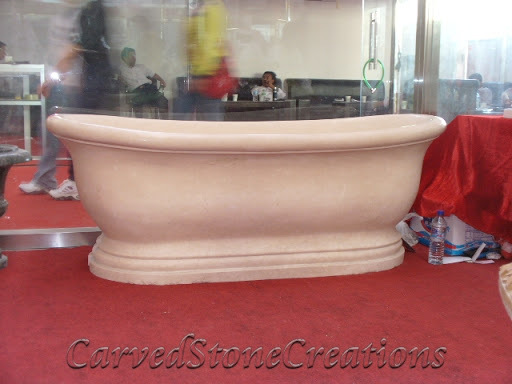 This beautiful bathtub is handcarved from mahogany onyx stone. The stones coloring and veining resembles the look of wood, bringing warmth into your bathroom. This particular design also features a matching step set to make getting in and out of your bathtub a breeze. If you are searching for a natural-looking bathtub for your bathroom, look no further! 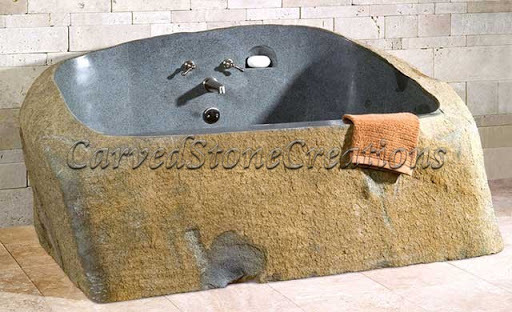 This rustic boulder bathtub captures natures timeless beauty with its rough exterior finish. This timeless design features a classic oval shape, but it is anything but boring. The handcarved details around the base and rim of the tub finish off the elegant design. The intricate handcarved details on this bathtub will take your breath away! 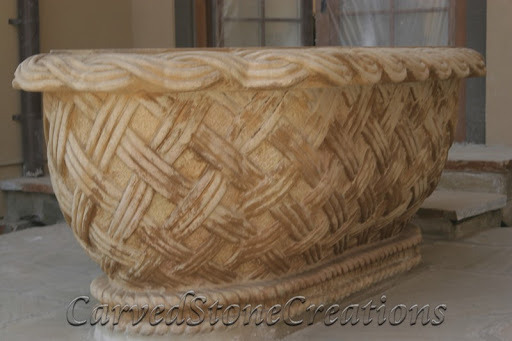 This design features a basketweave pattern around all sides of the oval tub. The design is topped off with a braid-like detail around the base and rim of the basin. 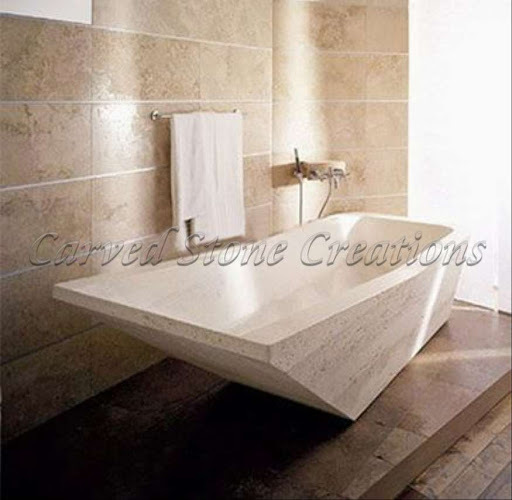 Do you have a dream bathtub design idea? Contact us and well help you make it a reality! If you know you want a stone bathtub but arent sure where to start, check out our bathtub ideas gallery to get inspiration.